I've been lurking the FOG for a while now but never posted much. 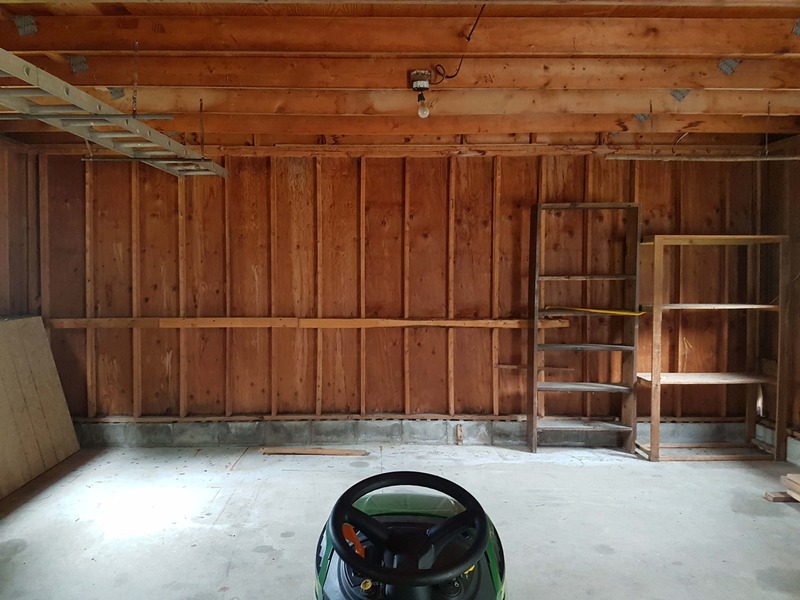 Anyway, I've just moved to a new (to me) house that has a barn-type building which I'm converting to my new woodworking shop. The inside dimensions are 27x21. I did this yesterday but haven't taken "after" pictures. 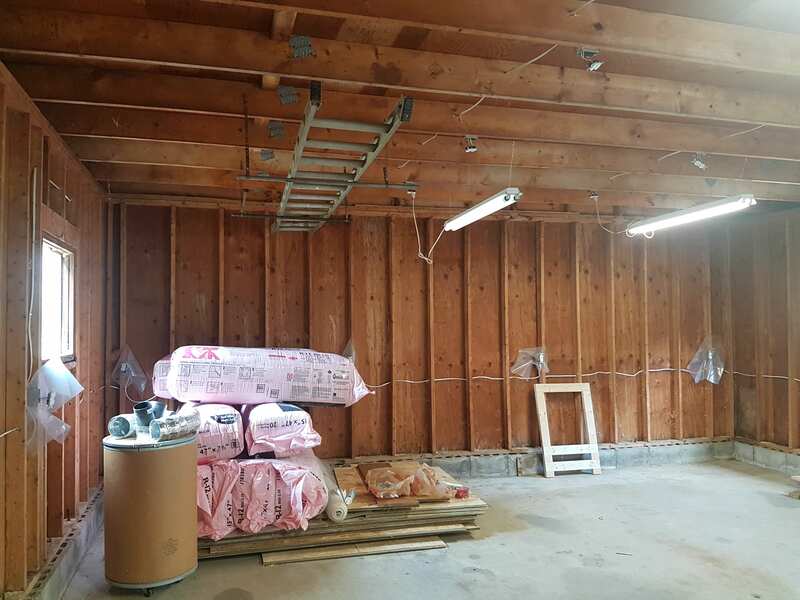 I've ran wiring and outlets for shop lights and 120v outlets around the walls. I'll post more pictures later. The wire to the panel is only good for 40 amp and the run from the house is 150 ft. I've called an electrician to come and pull a new run but I'm not sure what I'll be able to do. My biggest tool right now is the A3-31 which is 4HP and I plan to have either a 3 or 5 HP Oneida cyclone. I also need enough capacity for my heating (and maybe cooling). Hopefully I can also squeeze a CAT6 in the conduit. The existing wiring is bad, boxes with no connectors and fabric insulated wires. Everything is going away. I'll put in a sub panel that I saved from my previous shop (Siemens) since I have all the breakers I need and the existing panel (Square D) is pretty old. I'll have the electrician review the installation. I'm not sure if I need a local ground or not (Ontario). I haven't decided what to do with the sink yet. It drains right outside the wall. Congrats on your new house & shop. Very nice building, your floor seems to be in good shape. Any plan on epoxy? If so do it first while it's empty . I did my floor with the BM kit when their paints went 50% off, cost me $125CAD and did it myself. Not a professional job but I like it, no concrete dust to mix with the wood dust. Lightning: Get DEL.. my shop is 20x20 with 4 24"x24" DEL on each corners and a 12"x48" in the center, right over the table saw (no shadow). The DEL are expensive but really efficient, instant light with very large diffusion. Post more pictures along with your changes. Nice looking space. Plenty of room, solid floor and good height it looks like. I’d leave the sink I think. Handy to have for simple cleanup. Not sure on exterior terrain but you could do a French drain if you can’t get the water away from the building easily. 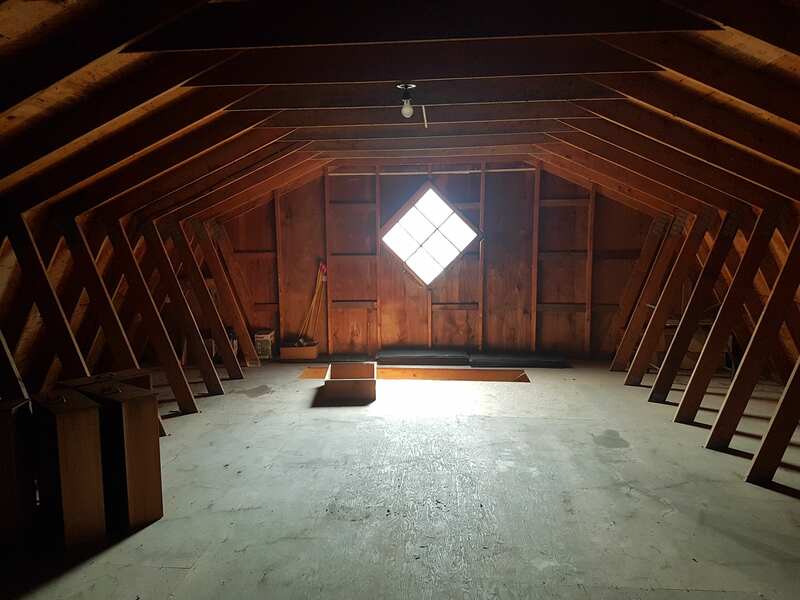 If you have not spent any time on GarageJournal, there are a ton of ideas on shop organization and buildout. Look forward to seeing progress photos. 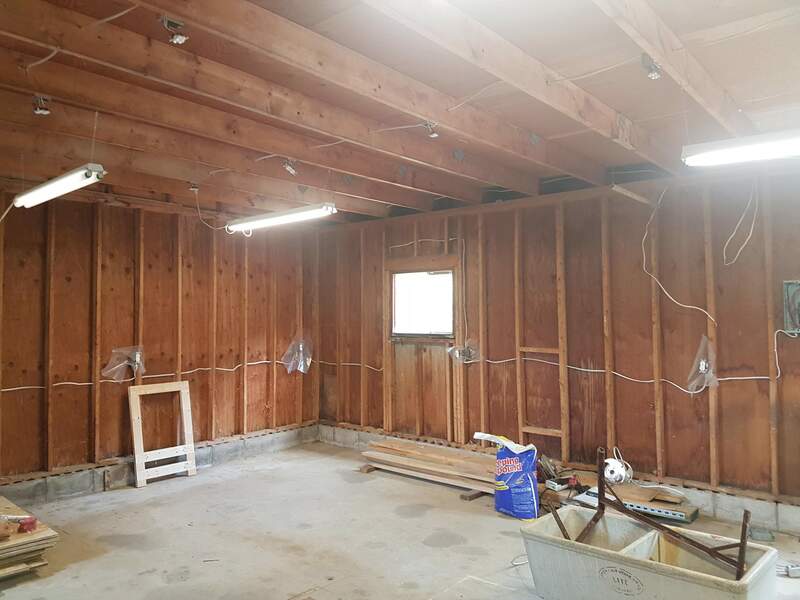 Have you checked on having closed cell foam insulation professionally sprayed in? I would think it would be worth the cost in Canada. Most of the old wiring is gone and I have the old subpanel disconnected and mine is installed. I wonder if the electrician would be able to pull the old feed out and pull new wires. It looks like 6 gauge, the current breaker is 40 amps... I think 4 gauge would work for 150 feet and 60 amp but that might be too little if I need electric heat/cooling. For insulation I've purchased R12 fiberglass. For the floors, I think I'll go with sleepers 12" on center and rigid insulation in between, then poly and 3/4 OSB. Down the road maybe add pine or some hard laminate. My dogs are whippets, that's how they look... racing dogs. The sink is made of concrete! I nearly lost a leg when I pulled it and its metal legs bent. It looks like you've got some aded storage space upstairs. Is it tall enough to stand up in? The concrete wash tub is both a boon and a bane. They'll last forever and nothing destroys them except for a 10# maul. They do however take up a lot of room. I had one in the basement that I removed and then substituted a stainless sink instead. I still consider that a good move. 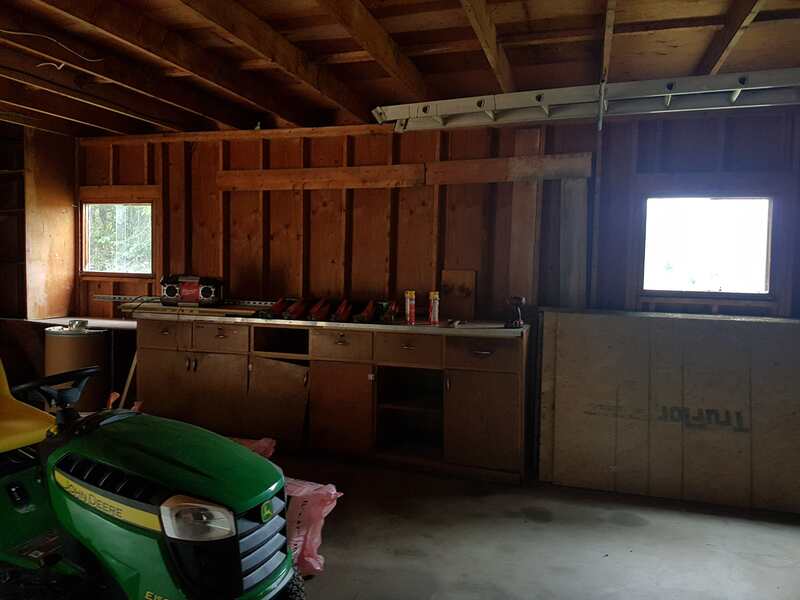 FWIW...I think you're going to need 100 amp service when you add up all the machine tools, electrical outlets, lighting and the heating/cooling draw. I think 60 amp would be the bare bones minimum. I like to keep the high voltage and low voltage wires separate. I'd run the CAT 6 alone or in its own conduit. It may also be an electrical code issue in your area. Hey Cheese, yes there is headspace on the second floor, it's actually a pretty big space. I want to make real stairs with a turn to get up there. I just noticed that the previous owner chopped up the 2x4 around the window. Something I'll have to fix. I made more progress so far today. 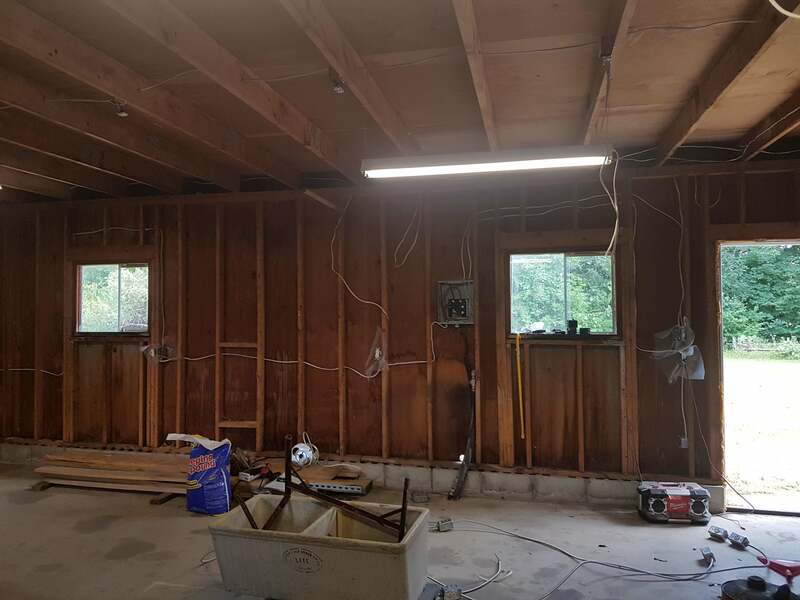 Finished the 120v around the walls and the ceiling for the shop lights and put my old fluorescent lights. I put in my Siemens panel. I removed all the old wiring and the junction boxes the P.O. had. I need to figure out the best way to rewire the outside lights. All my receptacles are hanging until I put something on the wall and ceiling. I know for a fact that you need a double 30 amp breaker for the Oneida V 5000 (5hp). If you go with heating and cooling, just for an example, a split unit 1.5 tons, mine needed a double 20 amp breaker. Yeah... I can't wait to see how much 150 ft of 1/3 direct bury cost. @ERG if that panel pictured above is the panel you are going to use, seriously consider getting a new bigger one. If you are going to the expense of running 100 amps out there, you will really need to have a panel with more breaker spaces. If you add any 240 circuits you'll quickly run out of spaces in that panel. Main breaker panels are relatively cheap. You'll use the main breaker as a local disconnect. Price for copper wire is crazy, 3 times aluminium. Go alu. req. one size bigger and use Anti-oxidant Compound at both ends. Are you going Teck or PVC? I used URD cable, aluminum. And yes go one size bigger. Cost me about half as much, but I only had half the distance to run mine. Thanks for the advice @rvieceli. I haven't thought of that. I don't think i need many circuits but it would be nice to have the disconnect in the panel. @Mario Turcot I'll wait to see what the electrician proposes. @JBag09 I see that Alu is much cheaper, I haven't found a site where the pricing is listed yet. Any idea of the cost? I know I got a good price since I’m friends with one of the salesmen at a local electrical supplier. For the 75 feet I needed, I think my cost was $1.59 per foot. That was for 2-2-2-4 URD. 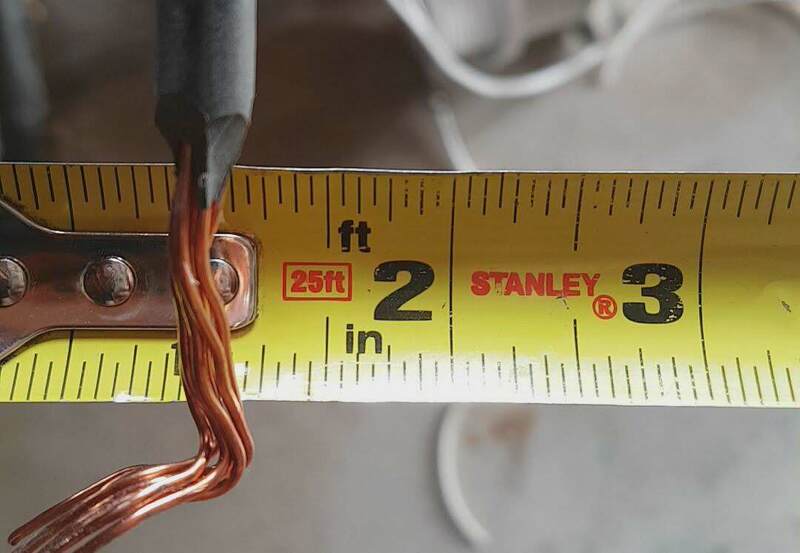 You better check with your electrician with how big of a wire will fit in a 100 amp breaker. Here is a link to my panel setup. That's one tidy panel Mario. 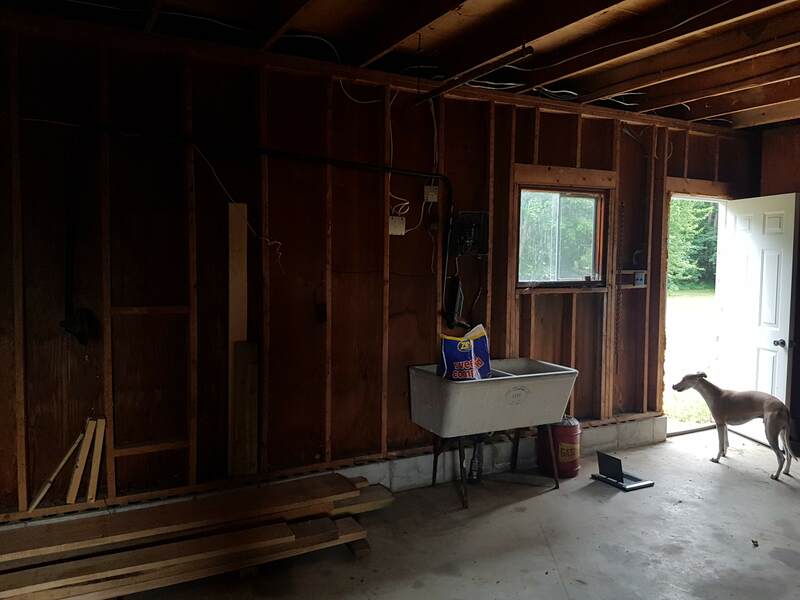 Sorry for the lack of updates on the barn, I've started a new project. 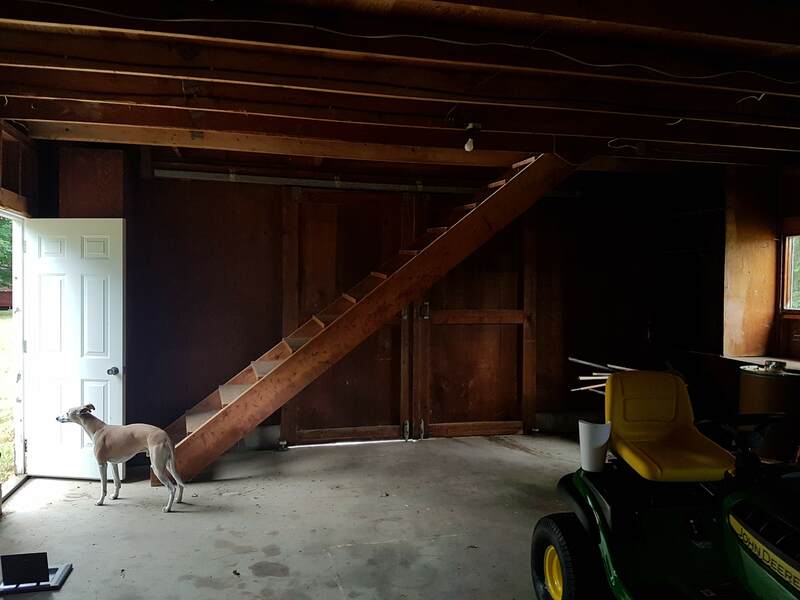 I am remodeling an in-law suite that I can rent so I can get $$$ to put towards the barn. 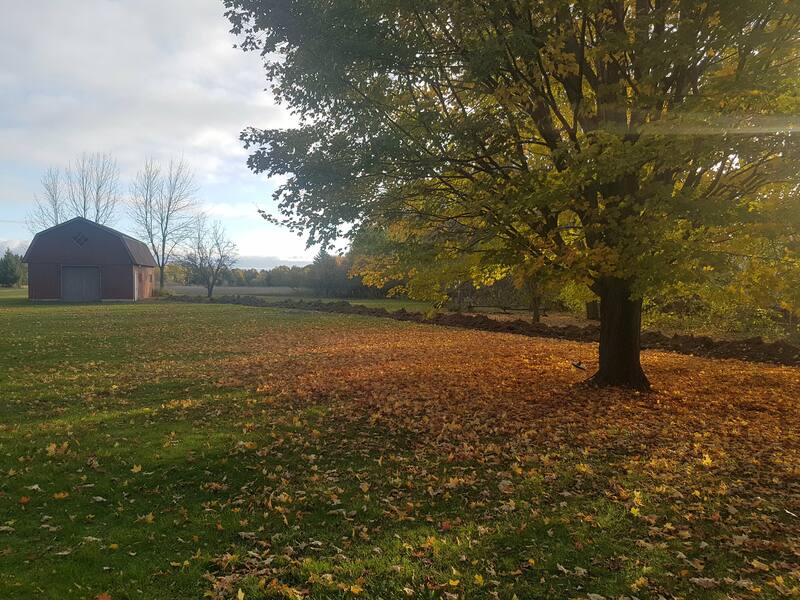 So the barn project hasn't been abandoned, it was just on hold while I work on another long term house project. Anyway, winter is around the corner so I wanted to put the new feed in before the ground freezes. A neighbor came with his mini excavator and got the trench dug for me. The electrician is coming tomorrow to hook up a new panel. I'm doing as suggested, putting a full size 100a panel. If I had that, I’d put my dust collector and compressor upstairs, just to save shop space and cut down on a little noise. 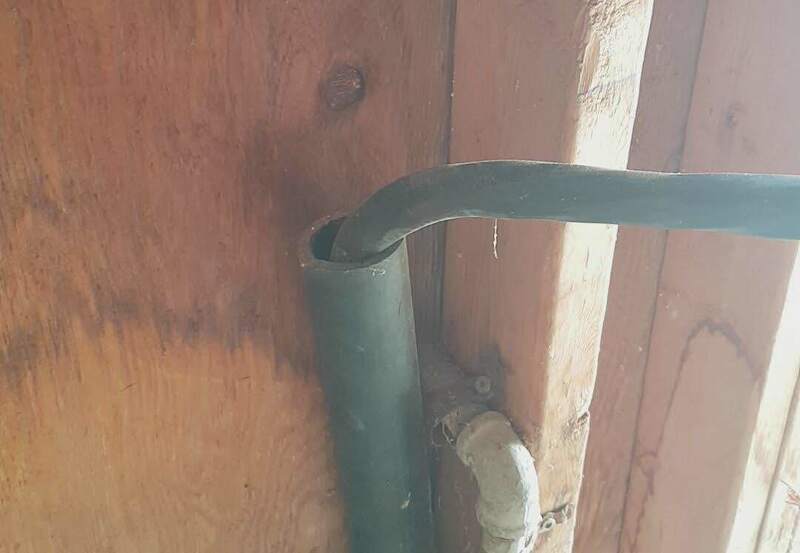 I am a low voltage contractor and I would suggest putting the cat 6 in its own conduit after 6” of back fill above the electrical to the main house. I do know it’s against code here in the US to have low voltage lines in with high, but not sure about Canada. I'm pretty sure they have to be separate. Wondering if the cat6 cable is by default shielded? You can get shielded cat6 but it is not standard. You can also get direct burial, but I’m no a big fan of having wire in dirt. Here's some interesting Cat 6 I stumbled upon the other day. It's direct burial with gel inside the jacket to prevent water ingress. Also at the bottom of the page is some Cat 5E that's shielded. call an electrical supplier, such as Paul Wolf, or Torbram Electric and ask them. They should tell you what you need to know. oh, and if you're in Ottawa, R12 ain't gonna cut it. Years ago, we used to work with multi-hundred pair burial telephone able that was similarly heavily sheathed, shielded and silicon-gel-filled. We called it "Icky-PIC". One didn't want to get any of the icky goop on clothing since it would never come out. So Sparky, aside from the fact you had to wash your hands and clothing in gasoline...did that stuff work or was it just a hindrance? Hi! I bought 500 ft of direct burial UTP cat6 for the shop. Pure copper 23 awg. I called the company and the recommended this for my application, which is to run an IP camera and access point with PoE. CABLE-V014 is the product on amazon. I also got a 30 slot 100A Siemens breaker panel from lowes with a breaker package, $170. I price matched it from homedepot and got 10% off. The silicone flooded stuff is effective, but awful to work with. I do not care for it.